Hello Crafters! Where did the week go? It’s Freebie Friday and we have a great prize from The Crafter’s Workshop. The Crafter’s Workshop has been around for 21 years, is woman-owned and American-made! Their stencils have been loved and collected by artists, crafters, and creative souls for decades. They’re easy to use, easy to clean, and are always right on-trend for exactly the project you’re working on. 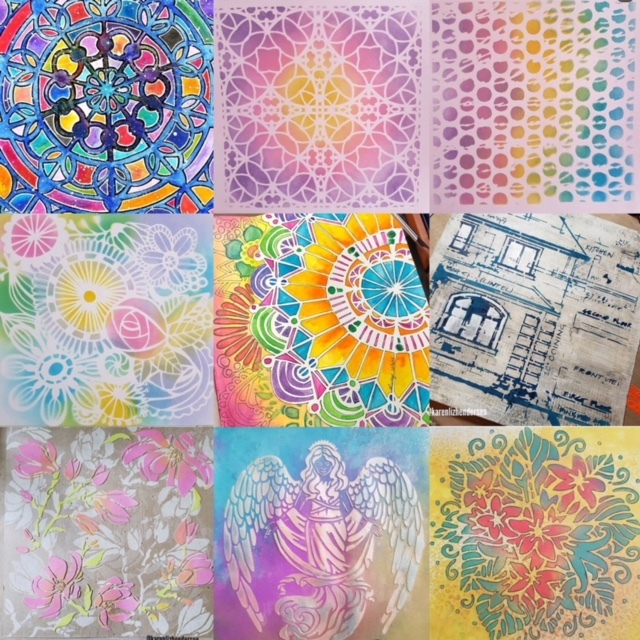 Look at what some of their Design Team members created using the exact stencils offered in their prize. 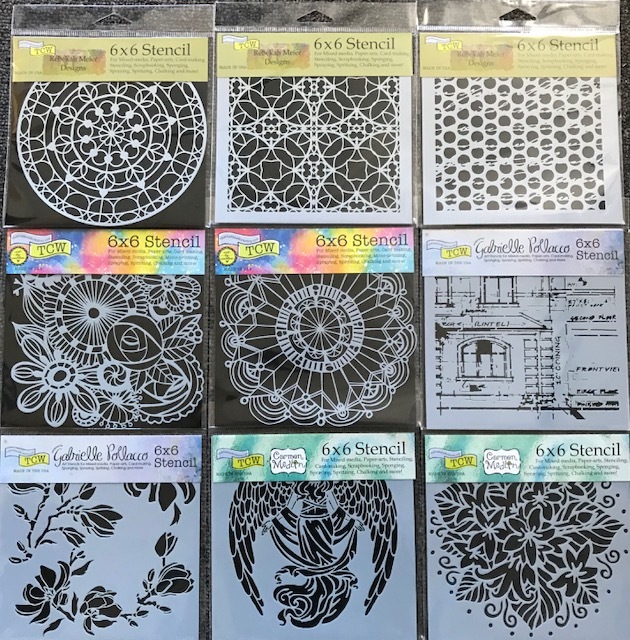 Here’s a chance to win 9 brand new, just released, 6×6 stencils. Imagine the projects you can create with these! 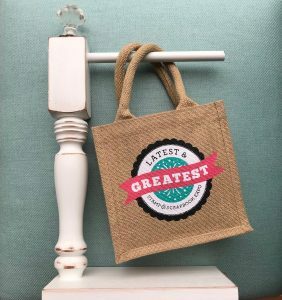 While we are waiting to see who the lucky winner is, you can hop on over to The Crafter’s Workshop’s social media channels. You’ll find TONS of inspiration there. 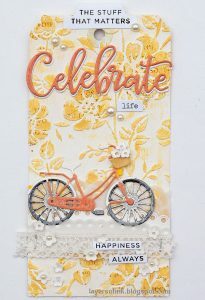 Let’s see who the winner is of last week’s Scrapbook Super Station sponsored our Freebie Friday giveaway sponsored by Scrapbook Super Station. Drumroll, please …..
Congratulations! Please email diana@scrapbookexpo.com with “Scrapbook Super Station Freebie Friday Winner” in the subject line. 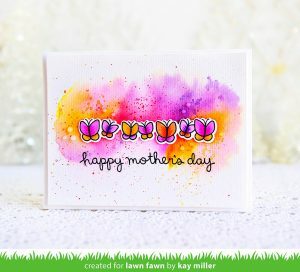 This entry was posted in Blog, Freebie Friday and tagged Freebie Friday, Stencils, The Crafter's Workshop. What awesome patterns! I’m gearing up for my 1st scrapbook expo in Denver at the end of the month. Super excited. very cute designs! Love those stencils!! Really looking forward to learning new artistic techniques and creativity. Really intrigued by these stencils! I just started and art journal and these would be perfect! I love my stencils from expo! Love the designs! Thanks for the chance to win them! What fun those stencils are!! Wow! These are so beautiful! And SO versatile! Always looking for new things that can be used in many different ways! Love these stencils! You could do so many things with those. The possibilities are endless. These would be great for my art journal, especially love the angel. Oh my gosh the possibilities are endless with those lovelies! Use with pan pastels, sprays, acrylic paint, gesso, the motherload of mixed media! Thanks for the opportunity to win! How fun and great variety! I would love to win these, they’re beautiful! I love these stencils! You can never have too many! I’d love win this product! Fascinating product! Love stencils! Gets my creative juices flowing…always a good thing!